A couple of weeks ago we had a really bad storm come thru our area. I've been told it was a small tornado and I've been told it was possibly straight line winds. Either way, it did some damage around here! 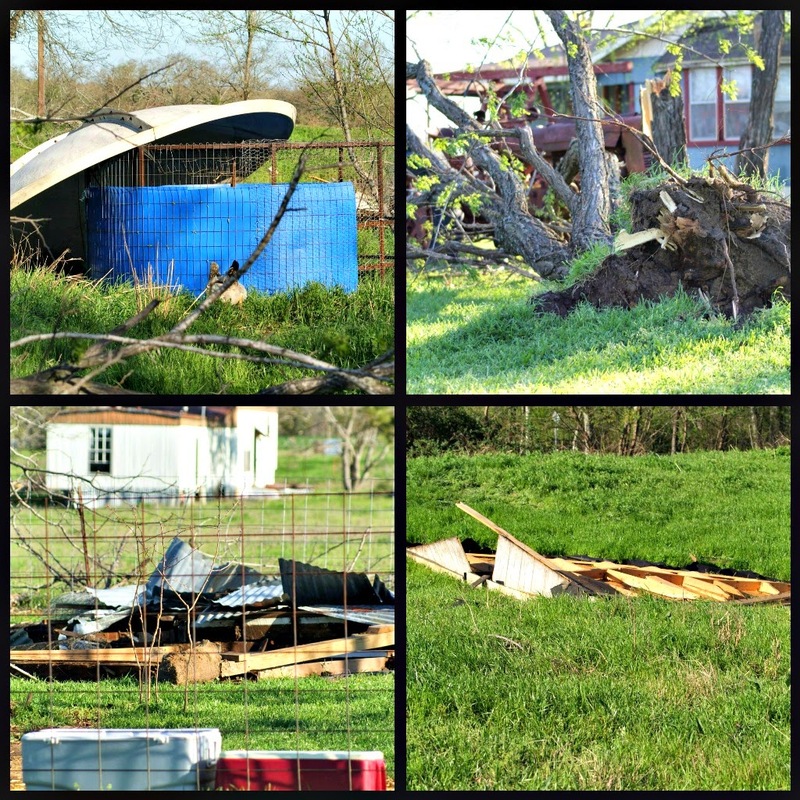 Many of our neighbors lost barns and workshops and damage to equipment (remember, we live out in the country). But the worst of it was closer to the area where the boys go to school/Danny's work. 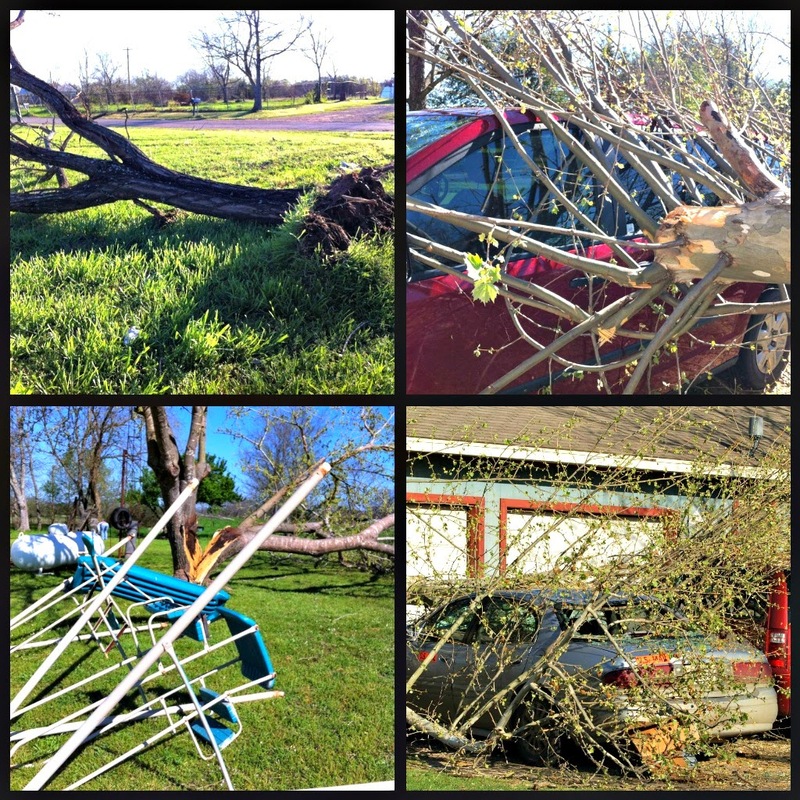 Here are some photos from the damage at our house and Danny's parents around the corner. 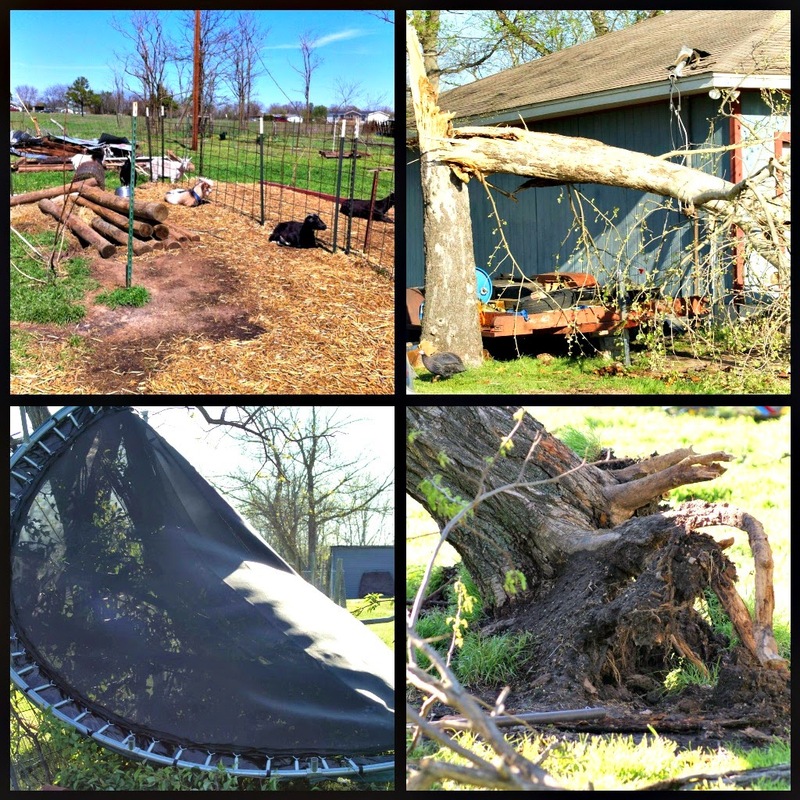 The goats lost their barn.... the in-laws trampoline was up in the neighbors tree. Lots of uprooted trees! The bottom right is part of our roof. We didn't lose any animals (goats, chickens, ducks), we did, however GAIN a rooster! haha! I have put the word out and nobody has claimed him. Oh well. Praise God that nobody was hurt and that it is all just "stuff" and the important stuff can be replaced... the rest of it we don't need.